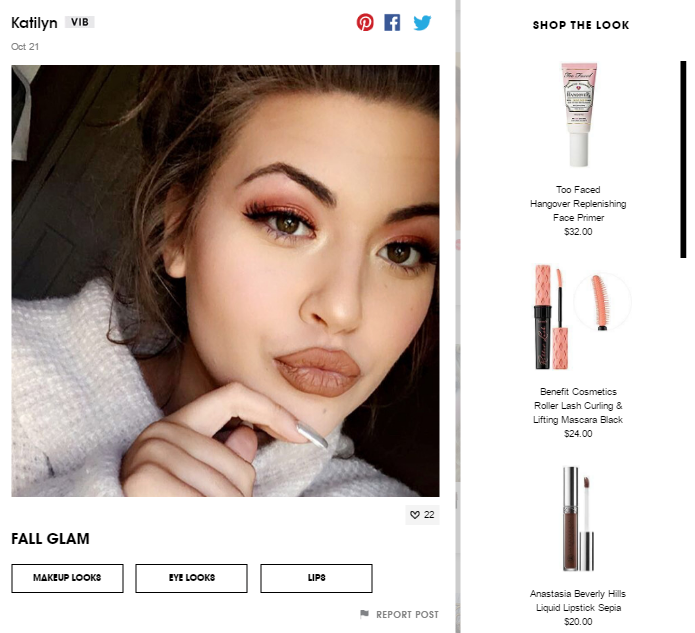 Sephora, the beauty brand, started to use UGC in marketing when it launched Beauty Board – where everyone could browse looks in a real-time gallery and also upload their own. Sephora found a clever way to generate revenue from it: they asked customers to tag the products that they used and made the board searchable with the possibility to add the exact product and buy it online. To find the content that you need, just press here.